Representation of employers in all areas of labor and employment law, including as lead counsel in a wide array of labor and employment litigation involving wrongful termination, whistleblower conduct, trade secret violations/unfair competition, discrimination harassment and retaliation, wage/hour class actions and related claims under the California Labor Code, labor arbitrations, National Labor Relations Board hearings and other litigation matters, administrative proceedings and investigations. Chief negotiator in numerous private and public sector collective bargaining negotiations. Extensive representation of employers in all aspects of traditional labor law, including representation issues, elections, unfair labor practice investigations/ proceedings and related matters. Advise and counsel clients with respect to all aspects of federal, state and local laws impacting employers, including compliance strategies, dispute avoidance and negotiation of dispute resolutions. Represented major supermarket in a whistleblower/retaliation lawsuit based upon complaints over safety and health issues. Successfully removed the case to federal court and obtained dismissal which was upheld by the U.S. Ninth Circuit Court of Appeals. Represented international technology company in a "bet the company" type dispute with 5 former executives. Obtained judgments against former employees and dismissals of all cross complaints. Represented technology company in the defense of a substantial sexual harassment/wrongful termination claim brought by a former key executive employee. The claims against the Company were disproven during the discovery phase of the litigation and the plaintiff's credibility became the major issue in the case. As a result, this matter was resolved through a highly favorable settlement which included a payment from the plaintiff to the Company. Obtained stipulated judgment for a computer products company against a competitor (and individual defendants) who raided and recruited employees subject to term employment agreements. Pursuant to the stipulated judgment, damages were paid, other remedial actions were taken and the competitor ceased all raiding. Successfully represented motion picture company in multi-million dollar merchandising claim. The case was arbitrated with over ten days of hearing and obtained a decision in favor of MSK's client. 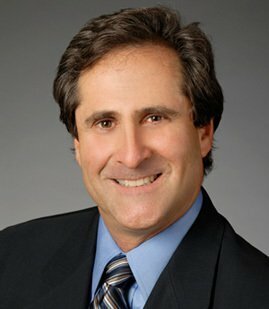 Successfully represented employers in numerous arbitrations, including contract interpretation disputes and wrongful termination issues. Chief negotiator for several collective bargaining agreements containing budget-related concessions and innovative resolutions of health insurance issues. Chief negotiator on several precedent-setting entertainment industry collective bargaining agreements. Representation of major motion picture studio and producer in lawsuit brought by screenwriter contending his screenplay entitled him to credits and compensation with respect to a well known motion picture. Successfully removed the case to federal court on preemption grounds and obtained summary judgment which was affirmed by the U.S. Ninth Circuit Court of Appeals. Represented television network in an extensive high profile government investigation involving alleged child labor law violations. Investigation was concluded with no enforcement action taken. Former member, Board of Directors of Visiting Nurses Association of Los Angeles, Inc.